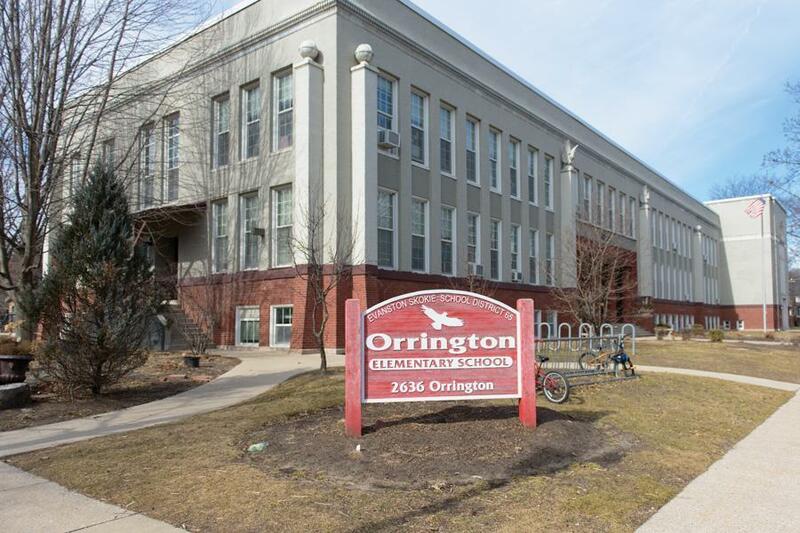 Orrington Elementary School, 2636 Orrington Ave., is one of 10 elementary schools in Evanston/Skokie School District 65. Some D65 community members have organized in support of a referendum that could raise property taxes to support the district. Several Evanston/Skokie School District 65 parents, educators and community members have organized in support of the April referendum that could raise property taxes to support the district. The Committee to Save Our Schools launched following District 65’s January decision to introduce the referendum on the city’s municipal ballot this spring. If voted in, the referendum would raise property taxes by 0.59 percent, roughly $450 annually per Evanston property owner. While D65’s budget is balanced for the current academic year, it is projected to slump to a deficit of $114.4 million by fiscal year 2025, according to District 65 board documents. The committee’s website outlines the potential impact of such a stark deficit, including enlarged classes, teacher layoffs and school closings. The referendum has been met with significant community support so far. More than 80 percent of Democratic Party of Evanston members voted in favor of the proposal at a meeting last month. Regardless, District 65 parent Andrew Ross, who described himself as a spokesman for the committee, said it was important for the group to drum up approval for the referendum. The budgetary increases the referendum could provide would impact the district in several significant areas, Ross said, such as implementing new classroom technologies, “investments in equity” and reducing the achievement gap. Ross said the committee has partnered with parent-teacher associations within District 65 to disseminate information about the referendum. Matt Pavich, co-president of the PTA at Orrington Elementary School, said initially, the notion of increased property taxes gave him pause. But after learning more about it, he determined the referendum’s passage was “crucial” — even for Evanston residents who do not send their children to D65 schools. District 65 Superintendent Paul Goren said the district and its board, as “public servants,” could have no explicit involvement with the committee or with campaigning for the referendum. Board members, as private citizens, can be involved with the group. Instead, he said the district’s job is to provide information to the community “writ large” about the potential impact the increased funding could have for Evanston, and the small portion of Skokie included in D65, as a whole. Ross said the committee was concerned that without a vote in favor of the referendum, District 65 may face “permanent” damage. And if it fails, he said, the likelihood of state or federal funding to bolster the district appears slim. This story has been updated to clarify what involvement District 65 board members can have with the Committee to Save Our Schools.